I recently ordered this lovely 2018 Rivendell Appaloosa frame. It is designed for 650b wheels (a 51 cm frame) and has 135 mm rear spacing. Why? I have many wonderful bikes that I thoroughly enjoy riding. But one thing I have never had since 1999 is a bicycle soul mate – that’s the year I crashed my 1976 Centurion Pro Tour. Since then, while I have ridden many excellent bikes, I have never found that one bike that speaks to me, a bike that will take me into the next decades of riding, with comfort, competence, and a spiritual connection that is hard to explain. In 2012 I built a 650b frameset while attending UBI’s frame building class here in Portland. That experience helped me realize two things: experienced frame builders have much knowledge and lore that newbies should respect and value. And, many cycling “experts” don’t know a thing about frame geometry, especially as it applies to riders under 5’6″. One of the (few?) nice things about being an accountant by trade is that math comes naturally to me. So, understanding the complexity of frame geometry has always been a high priority. 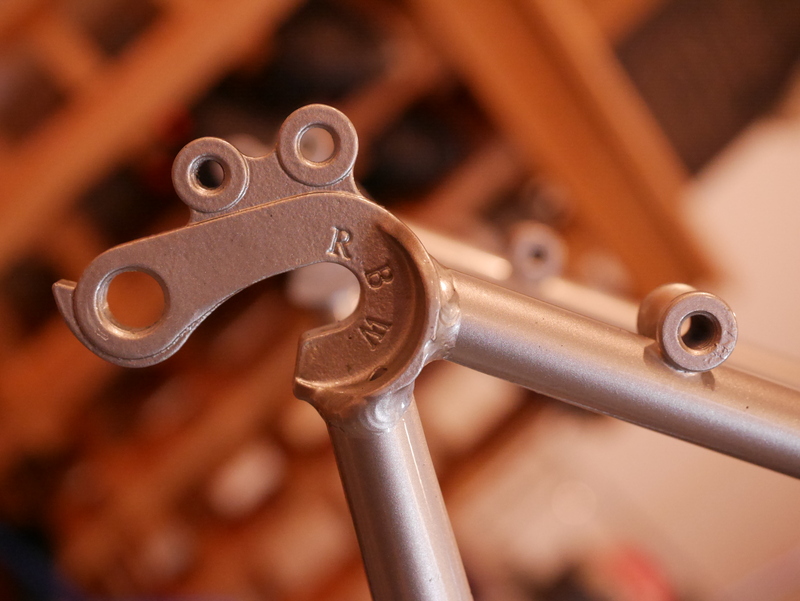 The 650b frame I built back in 2012 is currently being repaired with additional brazing on one of the lug joints that I didn’t do so well at filling with silver the first time out. 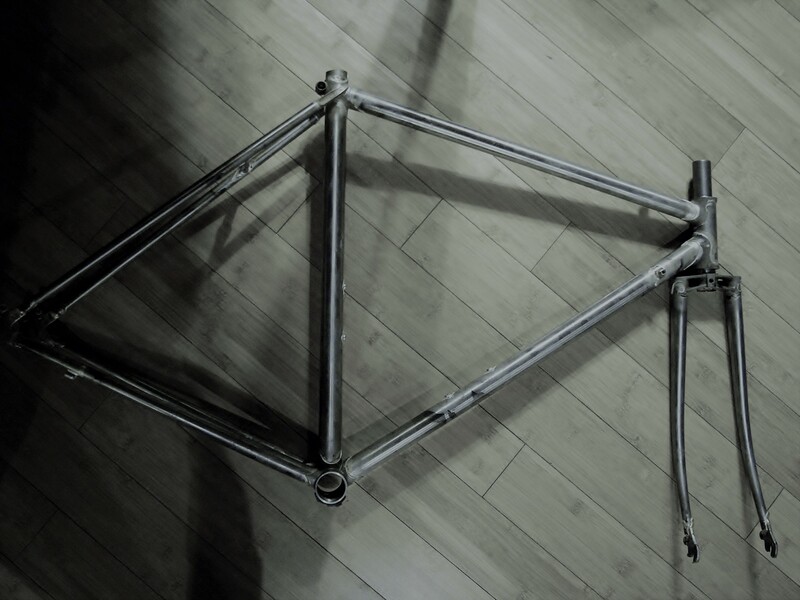 When that frame has been sand blasted and painted, I’ll build it up. Meanwhile, I received shipment of the Rivendell Appaloosa and 650b Velocity wheelset I had ordered earlier this winter. 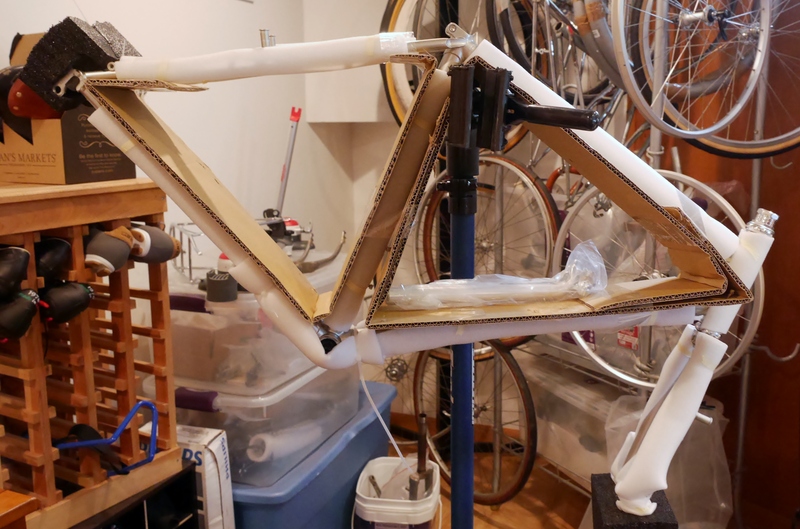 When the frame arrived I was amazed to see that Rivendell had protected and packaged the frame in a way that only bike geeks can appreciate. As a buyer of bike frames, I have received countless frames shipped with no tubing or drop out protection. 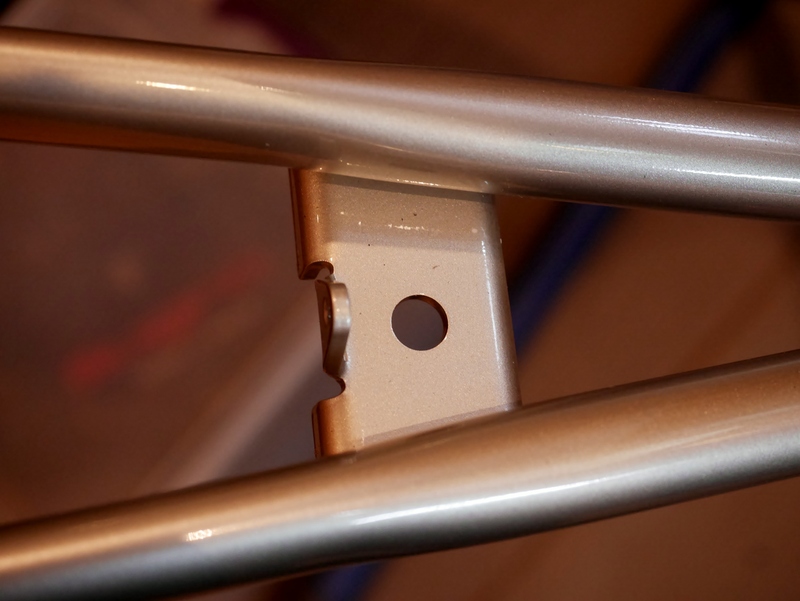 Some eBay sellers simply do not have a clue as to how to properly ship a bike frame, so: Caveat Emptor. As expected, this bike’s paint scheme is lovely, in fact, extraordinary for this price point. 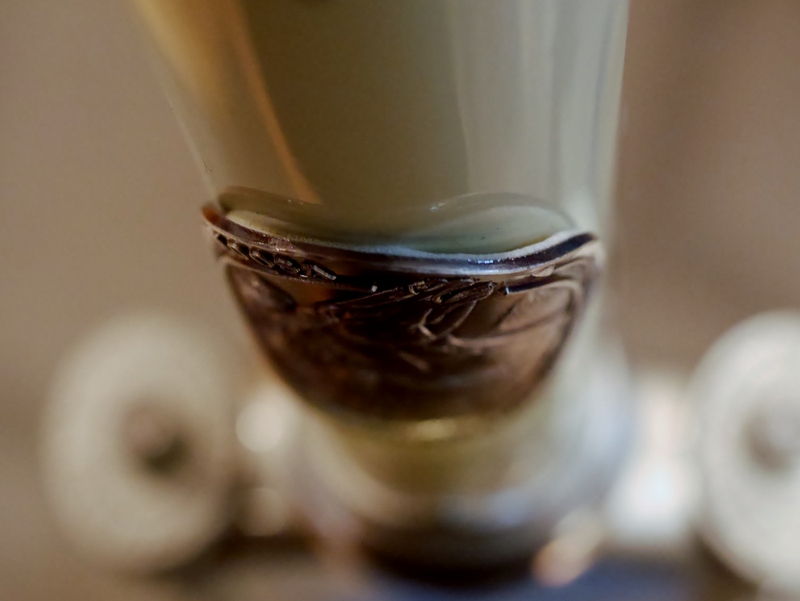 The fork crown has ornate patterns, with mounting holes on top to accept stays for a front rack. The Appaloosa head badge is fun and interesting (it’s a Rivendell! 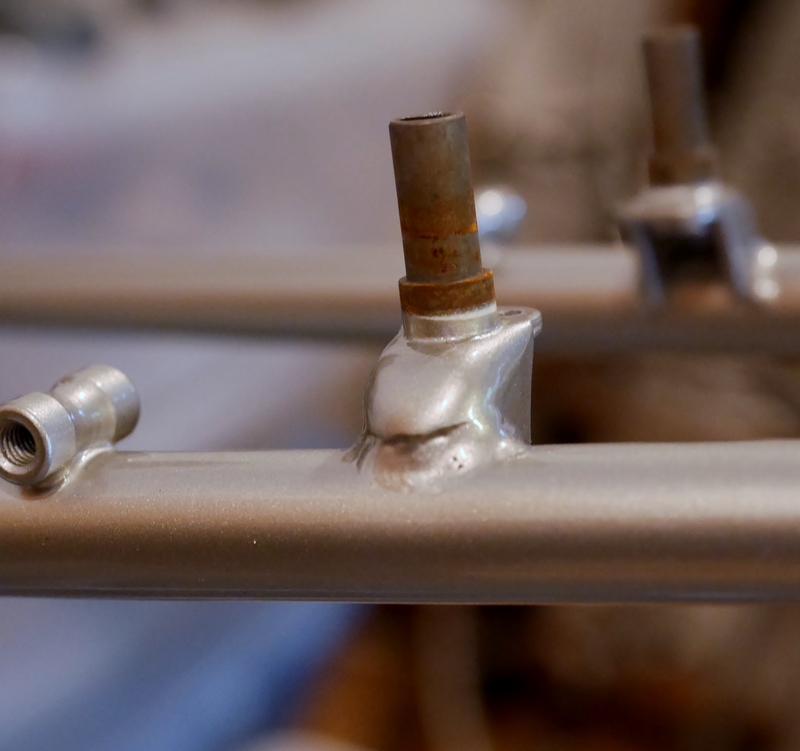 ), and all the lugs have been filed and well brazed. For a frameset that costs the consumer a mere $1,300, the value is clearly reflected in these features. 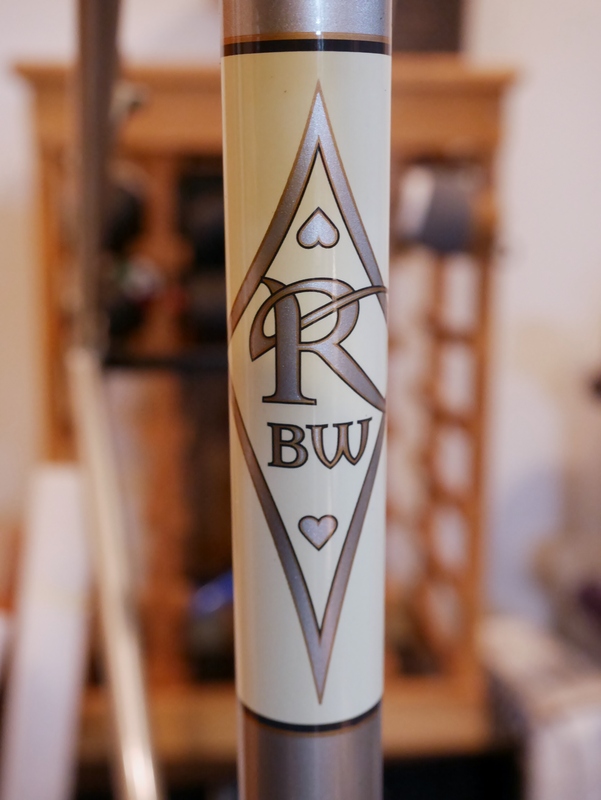 A Rivendell frame is one step away from custom, but inexpensive compared to custom options. Is this a cargo bike? Beefier than any other dropout – and with two threaded eyelets. 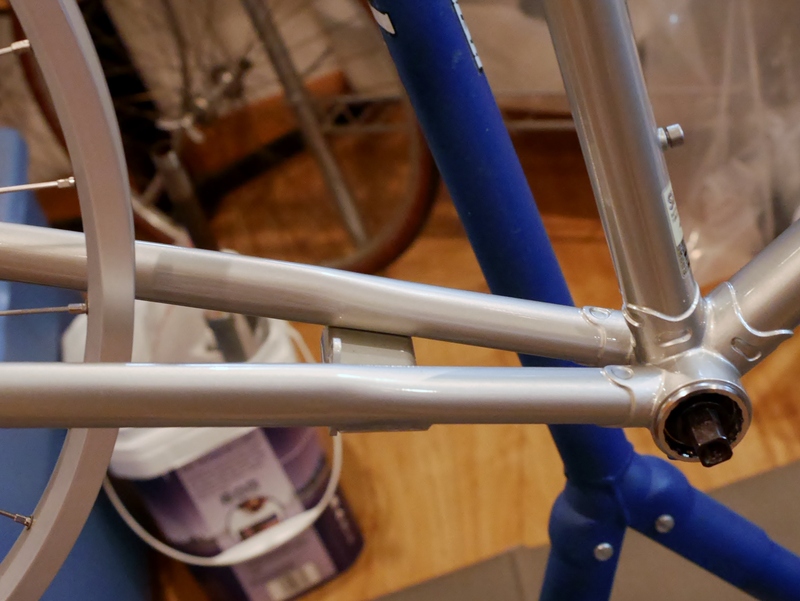 3 rack mounts on the seat stays, plus the eyelets on the dropouts. 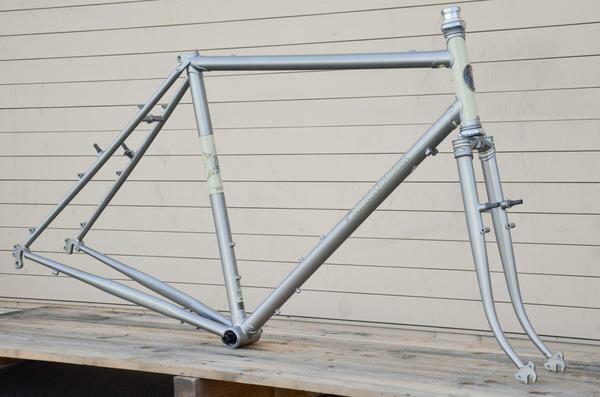 One thing to note about Rivendell frames is that they can have a longer wheelbase and longer chainstays than expected. 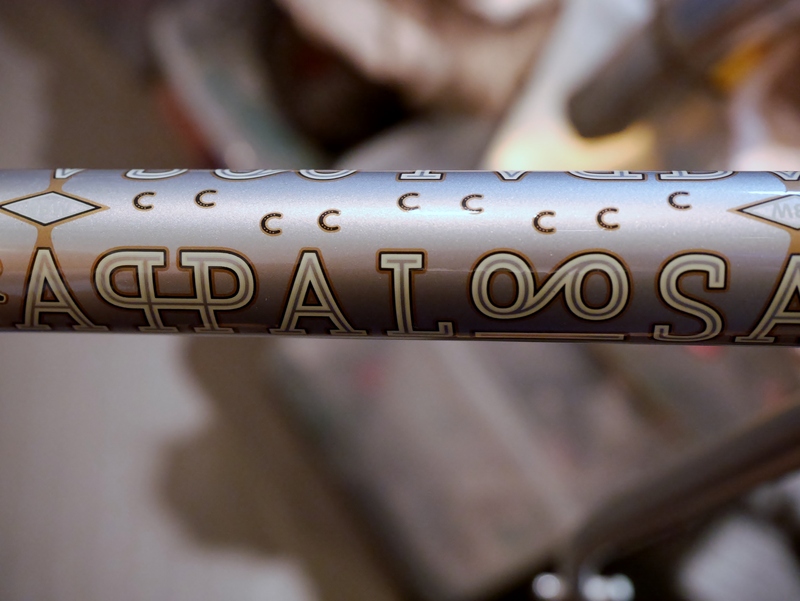 This Appaloosa has 51 cm chainstays. That means it is in cargo bike territory for its wheelbase. 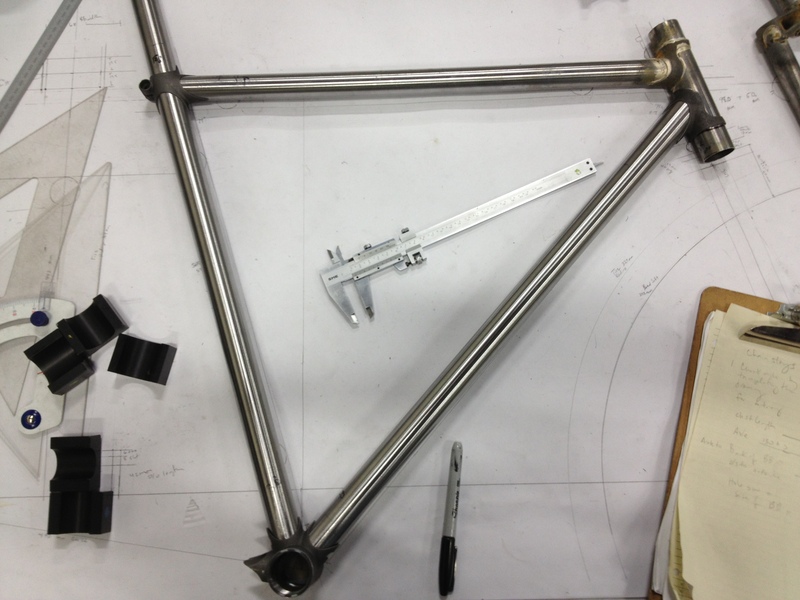 For this frame (advertised as 51 cm size), I measured the seat tube as 50 cm and the top tube as 55.5 cm. These measurements differ from the specs shown on Rivendell’s website. My measurements are center to center. There are a few condition issues with the frame. The seat stay cluster was filed very thin, but the upper portion extends outward, and with a little paint loss, is not ideal. 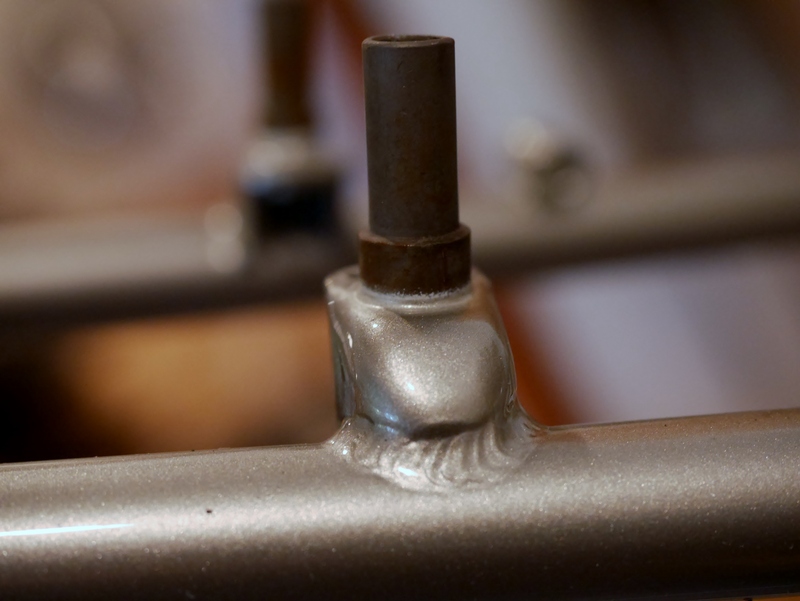 Also the rear canti stud braze-ons are not well executed. They look unprofessional, but after examination I think they will be safe to ride. 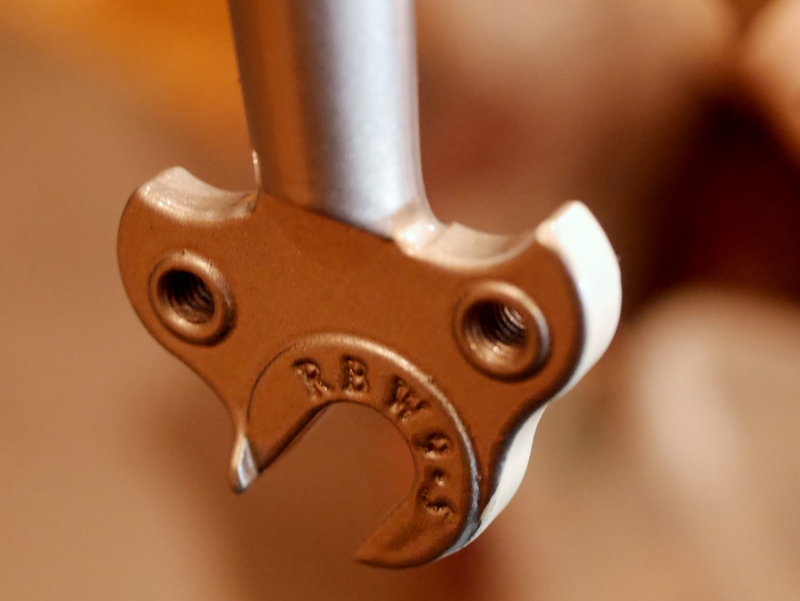 The head badge was not glued evenly to the head tube, as shown above. Naturally, I am documenting these issues in case anything arises with the performance of the bike. Because the frame is heavier than other frames that I ride, I expect to replace the FSA headset and the low-end Shimano bottom bracket. I’ve got lots of interesting vintage options in my parts bin that are lighter weight and probably more likely to last through the ages, as well as provide better performance. Smaller riders can benefit from weight savings, and I intend to focus on that as I consider options for components. 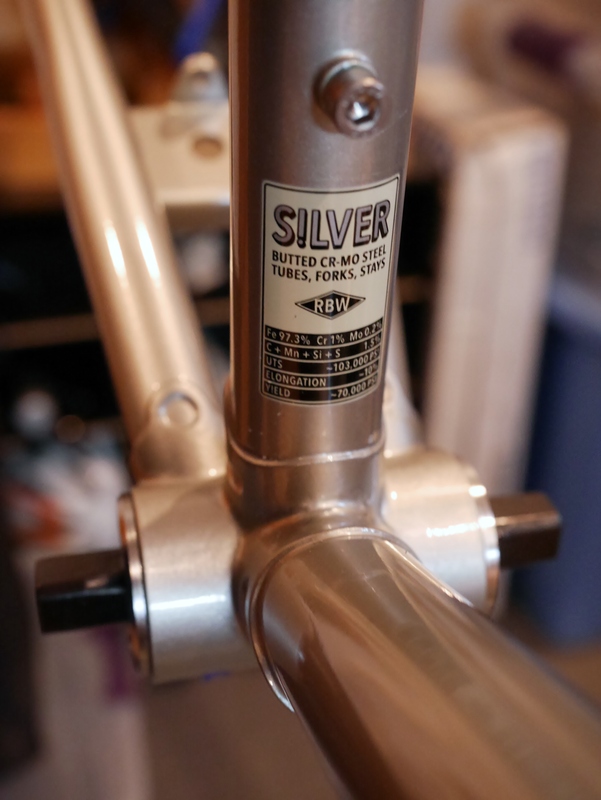 This entry was posted in 650B, bicycle frame building, bicycle frame geometry, Bicycle restoration and tagged 650b, aluminum fenders, ladies bicycle, Rivendell, Rivendell Appaloosa, Silver cromo tubing, skf bottom bracket, touring bicycle by Nola Wilken. Bookmark the permalink. Congratulations on pulling the trigger, Nola! Although you point out a few shortcomings, there is quite a bit to love about your new Appaloosa. Those dropouts. Holy moly. They weren’t messing around when they sourced those. It makes the typical eyelets on most of my steeds look like delicate little petals. Also, you mention the packaging. It isn’t often but sometimes I do ship bikes. When I do, I go right to the Rivendell video instructions. That team does it so efficiently, with (nearly all) earth-friendly materials and makes sure everything important is protected. It’s a significant detail that I’m sure most take for granted but it’s also an art so that the job is done so well the customer doesn’t even notice those details. That or the new owners are simply so excited the only goal is to tear in and remove it all like they were 12 years old on Christmas day. Again, nice work. Dropping the big dollars is never easy but if I know you, this was a careful, well-thought-out execution. Hi Josh, thanks for your comments. I look forward to building up this frame, but it does present some challenges. 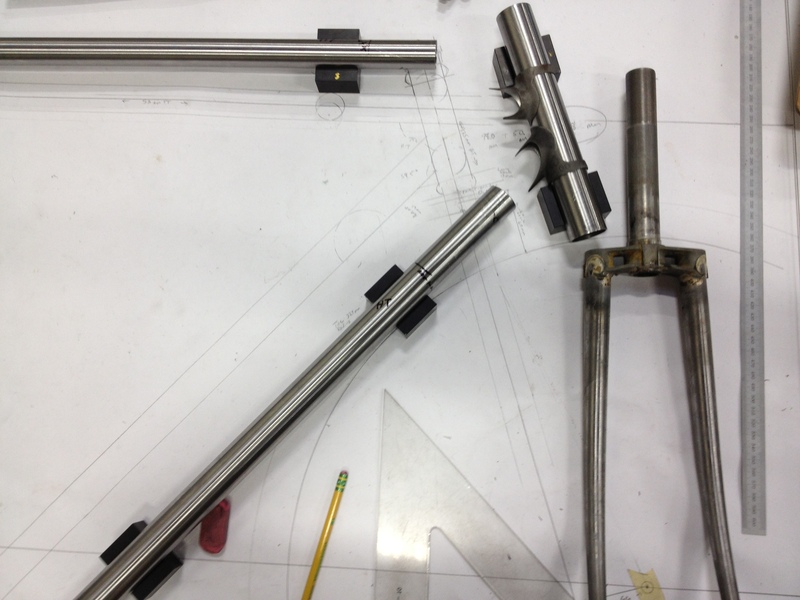 The long top tube relative to the seat tube size means that I will be considering a tall and short reach stem along with some upright bars. However, as I envision this bike I know I will want multiple hand positions for longer rides. 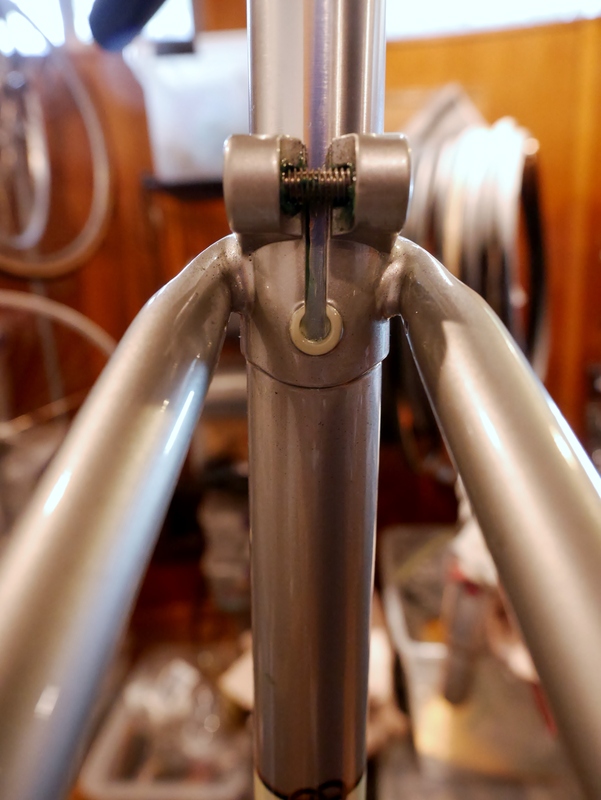 I am considering the Jones H-bar as one option. 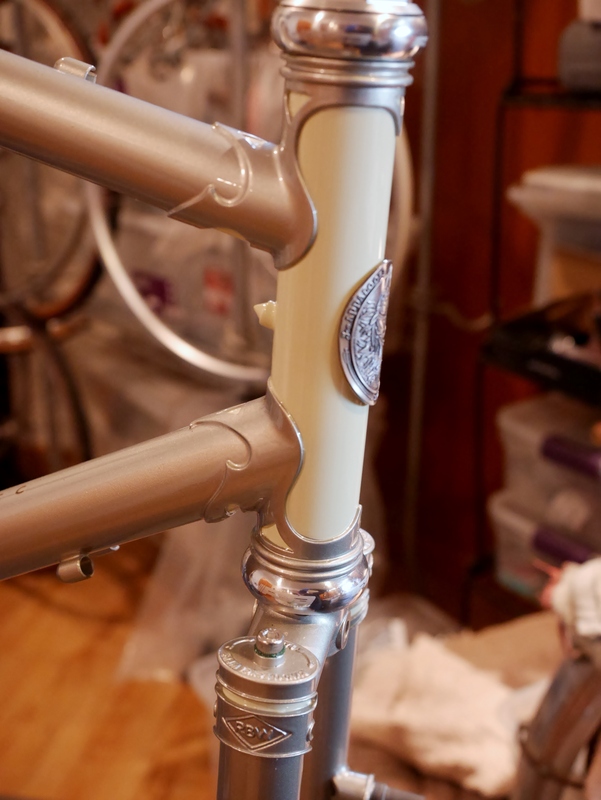 After all, what’s a Rivendell without a goofy-looking handlebar? 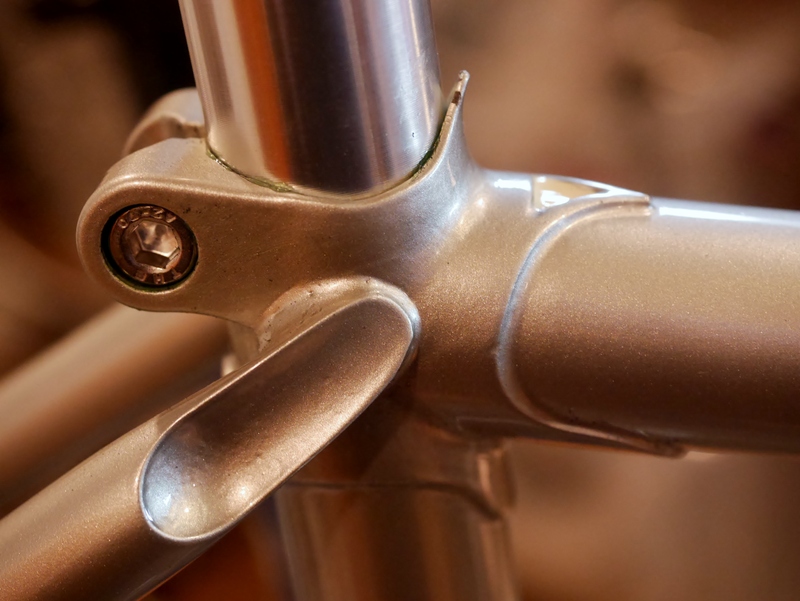 But, porteur bars are another option to consider, with the idea of incorporating bar end shifters. I am leaning toward an old fashioned triple crank for this bike. I want the bike to be versatile, and to work for commuting as well as longer rides over steeper terrain. Envy! Stumbling across the Riv website about 10 years ago started my journey to steel bikes and when I was lucky enough to be in SF on business in 2011, and had time on my hands on the last day I made a beeline to Riv HQ via BART. It was awesome, a Riv frame is on the someday list, I really like the newish Roadini. Like Josh I look forward to seeing what you come up with for a build, I am sure it will be gorgeous. I haven’t been to Riv’s HQ – glad you checked it out. It’s so pretty! I’m not sure I will ever have a rivendell, but there has been much love and admiration to Rivendell for years now. I almost bought a betty foy, wish I had done it. But I’m not sure I would find them a bit heavy and overdone at this point. Have fun with the build! I will cry more than a tear when the Appy gets its first scratch!